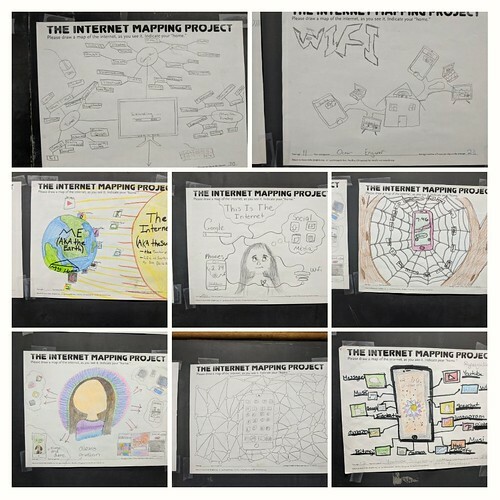 I continue to be intrigued by how my sixth grade students “Map the Internet” by artistically representing themselves to technology. 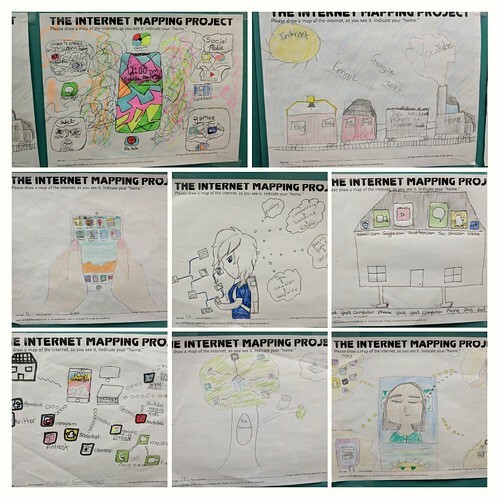 This is a riff off Kevin Kelly’s The Internet Mapping Project. Two more classes did this activity this week. This entry was posted in EquityUnbound, my classroom. Bookmark the permalink.